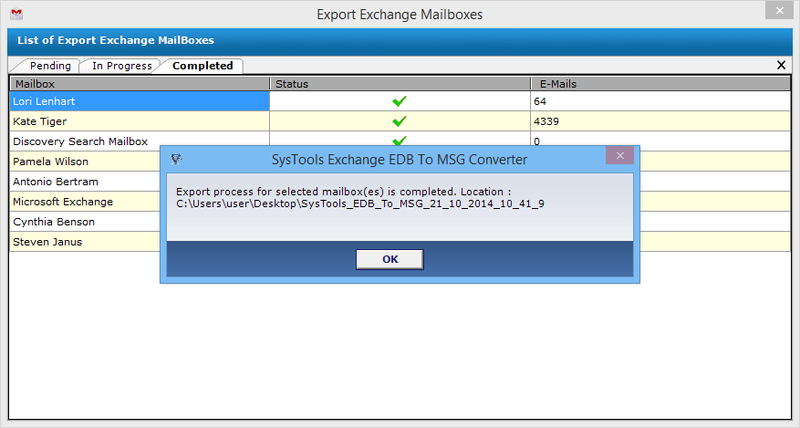 Exchange EDB to MSG Converter is a unique software for exporting all the EDB mailboxes to Outlook MSG file format. It stores each converted MSG file with the subject line of emails and creates a separate folder for each email item. This tool also maintains the data integrity and retains the metadata properties like To, Cc, Bcc, date, etc. This tool is absolutely remarkable with its dual scanning mechanism. Also, this EDB files to MSG migration tool is compatible with all versions of Windows. Exports multiple EDB emails into MSG file format in batch process. Dual scanning mechanism is available while exporting EDB files to MSG. Can convert any number of EDB mailboxes to Outlook MSG format. Converts and opens even highly corrupted EDB mailboxes in MSG. Recovers both Public as well as Private Exchange database folders. Exchange Server environment is not needed to Export EDB database to MSG. This EDB to MSG Converter scans all the files before converting them in Outlook format. It performs a Quick Scan on normal files and an Advanced Scan on corrupt files. After scanning, it previews all the emails along with their attributes. This tool for exporting EDB files to MSG files gives users option to selectively export only the desired EDB files. User can check or uncheck the EDB files from the previewed list, select them and then, start the export process accordingly. While converting files from EDB database to MSG, users will get a complete account of number of files already exported, number of files exporting, number of files remaining to be exported and so on. So, an implicit progress report is generated on the screen. I used this software on the recommendation by a friend and I must say I am awestruck with the quality and performance of this tool. It does the migration from EDB mailboxes to MSG with such an ease. All my pending .edb files were exported to MSG in no time. I want to rate this tool 10 out of 10. Hats off to the entire team for making such an innovation in the field of data migration. This tool has managed to solve all the issues I was facing earlier while converting my corrupted data files from Exchange EDB to MSG converter. I am totally liking this software. Thank You so much! At times, various situations arise n which the functional disruption occurs in the Exchange server. The reason of such a disruption can be anything like a fatal error, a virus attack, jet engine error, header corruption, file size error, etc. In such a scenario, users look for a solution to switch their data from Exchange EDB database to MSG so as to access their frozen EDB files. 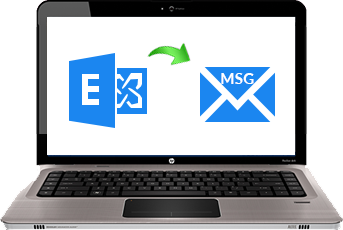 This EDB emails to MSG software is the need of users when they have to migrate large mailboxes from Exchange server to Outlook MSG file format in a scenario when the Exchange server has disrupted unexpectedly. Hence, in order to recover the corrupted files and to get access to these files, this software is used. Also, it becomes easy for the user to view and open files in .msg file format. Moreover, recover corrupted Exchange database to MSG has become invariably simpler because of the user-friendly interface of this tool. Further advantages of using this tool have been written in the points written-below. Maintains data integrity of files. Saves data in a hierarchical way. Shows the export progress status. Saves files at desirable location. No file size restriction while export. Smooth conversion of EDB to MSG.